Loyal patrons across the city were heartbroken to hear via press announcement that Tower cinema would close next month. The cinema has been operating since 1976 and has become a beacon of culture in Newcastle with 44 years of movie festivals, blockbusters, indie films, and foreign movies sadly coming to an end. 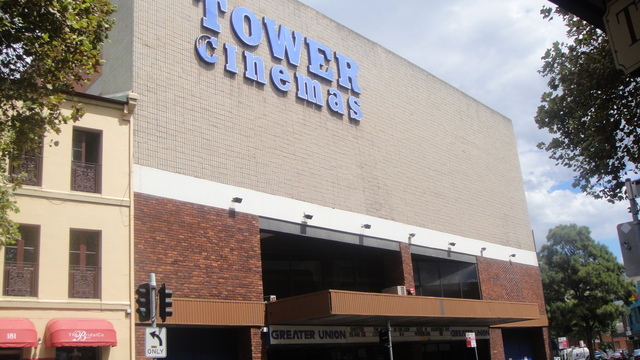 Tower Cinema is currently operated by Event, a cinema chain giant who have two other cinemas in the Newcastle region including Glendale, and the relatively new Kotara cinema. They state in their press release that priorities have become focused on reinvesting in the latter two cinemas. While Kotara may have the luxuriously bougie Gold class, it is disappointing to see that more has not been invested in retaining ones of our last local cultural hubs. Although locals are not blameless, as patronage had dropped quite a bit in the past few years because many of us favour those comfortable leather recliner seats over the quainter old wooden seat cinema charm. Though the interiors were quite dated, and some of the building had become a bit dilapidated over the years, it is an important place in the memories of many Novocastrians. Personally, I loved going there as kid and I’m embarrassed to admit I took many a selfie in the bathrooms with my friends after movies as a teenager. I hope I don’t live to see it turned into an apartment block. Emily Field was born and raised in Newcastle and said Tower cinema meant a lot to her. Miss Field was one of the many locals who felt a combination of sadness and anger at the announcement yesterday. Many people online shared similar fears about what it meant for another iconic Newcastle business to be closing their doors. Many were also curious about what will be done with the building, as a cinema’s unusual architecture is fit for showing movies but may be difficult to convert into an office space or yet another café. As another legend closes its doors I hope there is something we can do as a community to come together in 2019 and start to listen to our local businesses and do something to prevent the continuous closure of iconic institutions. Or perhaps we should embrace progress and accept a survival of fittest mentality in the emerging landscape of a new Newcastle. Whatever we do, it’ll be a slightly bittersweet future knowing none of us can ever hobble over to the beautiful old air-conditioned theatre after a day at the beach to cool down with a choc top again.